Chiropractor |Chiropractic in Worth IL: My name is Dr. Linn….thanks for coming to this website. 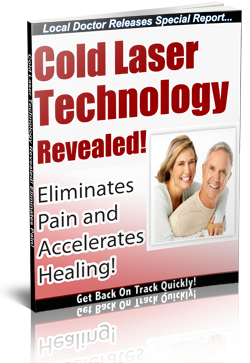 Discover this Brand New Technology that accelerates the healing process for most types of sprains, strains, & sports injuries! It even helps arthritis, joint pain and tendonitis! If you suffer from any of these things, you must stop what you’re doing right now and get this confidential report. You may not have to suffer anymore…Get the FREE REPORT instantly by completing the form below.